Leigh Gowland is a true believer that "it takes on to train one!" 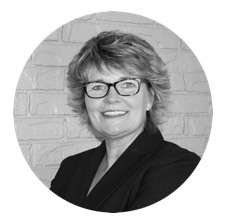 With her 33 years' experience in the dental industry as a CDA, Office Manager, and Treatment Coordinator, Leigh had developed sound communication skills and an aptitude for presenting treatment to patients. Establishing a treatment protocol called, 5 Steps to Success, has become the foundation for this training session. Leigh's sense of humour and unsurpassed passion for dentistry making her a industry leader in Treatment Coordination facilitation. The vehicle is 5 Steps to Success"
"I truly enjoyed it. There is a lot that I learned today & will take to my offices. Can’t wait for the next seminar. She was awesome. It was fun as well as educational." "It was a fun and useful course. Leigh presented course material by spicing it up with Interesting stories so that it was entertaining and to the point." "Course was helpful. Enjoyed it. We will implement some things that were taught today. LEIGH WAS GREAT!" "I very much enjoyed the course today. It was very informative and the stories kept me focused and laughing. In my own practice, I will use the information provided to carefully word things appropriately to get a positive reception from the patients." "Very enjoyable course and engaging speaker!" "Very well presented! I enjoyed the course very much. I liked listening to her stories and life experiences! I wish we had more time with her." "The course today was AMAZING! As a new treatment coordinator, its hard to know where to start & what is necessary to convince patients to stay with your practice. Leigh really got down to the basics. She made it all make sense. Her experience with patients and practices were very interesting and helpful. Leigh was entertaining and very knowledgeable. Loved the material I learned today!" "An honour to have been in Leigh's course! Funny, honest, realistic, engaging! WONDERFUL! Thanks!" "One of the best meetings ever! Loved her character, confidence, and cheerful manner! Easy to listen to Leigh! Thank you."